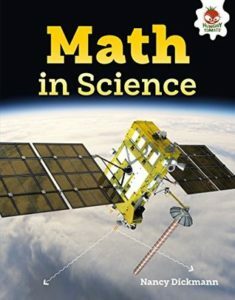 Students today may question if they will ever use math in “real-life.” This book shows math in action and makes it cool! From Roman aqueducts, space exploration, and just telling time, math makes our world work. There are a few fun activities such as creating your own periodic table. With colorful photos and interesting facts on every page, this book is sure to please. I plan to get the series for our school library.